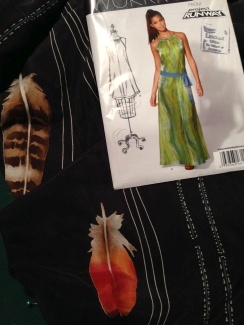 The next outfit I have completed is a dress. 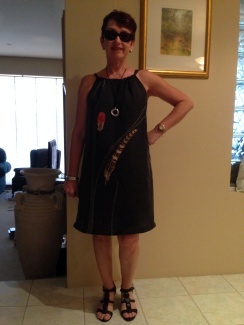 I managed to find some beautiful black suede silk when I was away at the beach so I made it up using NewLook 6119 . 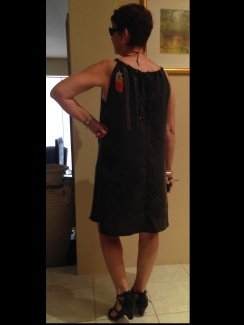 I decided to make it in the shorter length it was very easy and is really comfortable to wear. Perfect for our Australian summer weather.